There is lots of conflicting nutrition information on the internet and in popular books. All of it can’t possibly be true. In fact, some of the claims you read simply aren’t true. They sound good. They are supposedly backed by scientific studies. 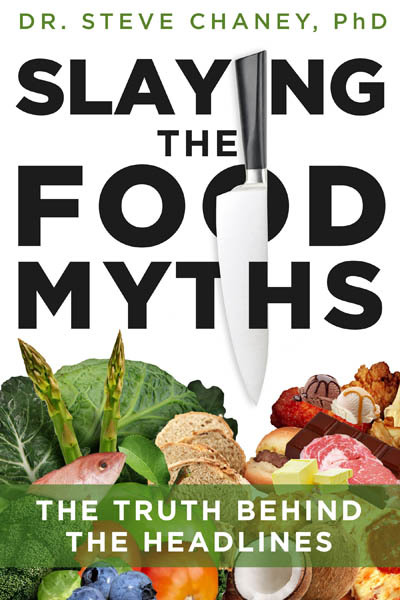 But, they are myths – food myths. Unfortunately, food myths are not a victimless crime. They lure people away from healthy diets to unhealthy diets. They may condemn the people practicing those food myths into poor health in what should be their golden years. That’s why I wrote my book, “Slaying The Food Myths”.